Henry of Huntingdon was born in Lincoln in about 1085. His father was a priest and Henry also followed a career in the church and was attached to the household of Robert Bloet, the Archbishop of Lincoln. In 1109 Robert Bloet appointed Henry as archdeacon of Huntingdon. Henry gained a reputation as a writer and in about 1144 Alexander, Archbishop of Lincoln, suggested that he should write A History of England. 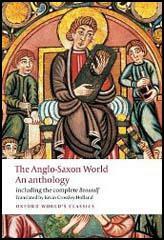 The book covered the period from the Roman invasion in 43 BC to the accession of Henry II. Huntingdon used a wide variety of sources in his work and copied original documents into his text. 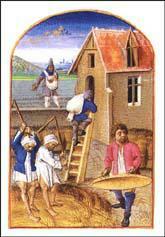 His book is full of dramatic stories and was extremely popular with other historians. 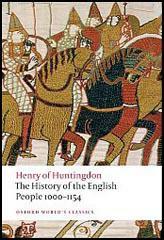 Henry of Huntingdon died in about 1155.